Just one week in office, President Trump is already following through on his pledge to address illegal immigration. His January 25th executive order called for the construction of a wall along the entire length of the U.S.-Mexico border. While he is right to focus on the issue, there are several reasons why his proposed solution will unfortunately not lead us anywhere closer to solving the problem. Second, the wall will be expensive. The wall is estimated to cost between 12 and 15 billion dollars. You can bet it will be more than that. 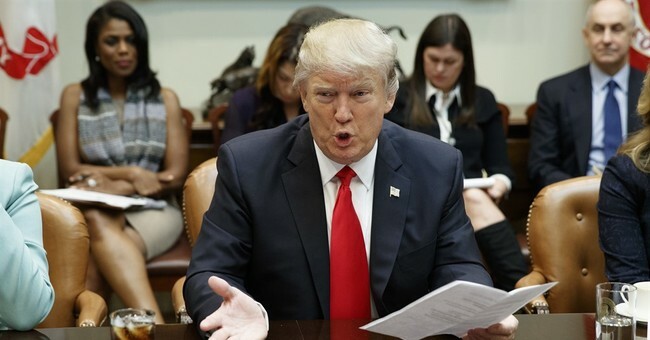 President Trump has claimed that if the Mexican government doesn't pay for it, he will impose a 20 percent duty on products imported from Mexico. Who will pay this tax? Ultimately, the American consumer, as the additional costs will be passed on. This will of course hurt the poorest Americans the most. The solution to really addressing the problem of illegal immigration, drug smuggling, and the threat of cross-border terrorism is clear: remove the welfare magnet that attracts so many to cross the border illegally, stop the 25 year U.S. war in the Middle East, and end the drug war that incentivizes smugglers to cross the border. The various taxpayer-funded programs that benefit illegal immigrants in the United States, such as direct financial transfers, medical benefits, food assistance, and education, cost an estimated $100 billion dollars per year. That is a significant burden on citizens and legal residents. The promise of free money, free food, free education, and free medical care if you cross the border illegally is a powerful incentive for people to do so. It especially makes no sense for the United States government to provide these services to those who are not in the U.S. legally. We already know the effect that ending the war on drugs has on illegal smuggling: as more and more U.S. states decriminalize marijuana for medical and recreational uses, marijuana smuggling from Mexico to the U.S. has dropped by 50 percent from 2010. Finally, the threat of terrorists crossing into the United States from Mexico must be taken seriously, however once again we must soberly consider why they may seek to do us harm. We have been dropping bombs on the Middle East since at least 1990. Last year President Obama dropped more than 26,000 bombs. Thousands of civilians have been killed in U.S. drone attacks. The grand U.S.plan to "remake" the Middle East has produced only misery, bloodshed, and terrorism. Ending this senseless intervention will go a long way toward removing the incentive to attack the United States. I believe it is important for the United States to have secure borders, but unfortunately President Trump's plan to build a wall will end up costing a fortune while ignoring the real problem of why people cross the borders illegally. They will keep coming as long as those incentives remain.